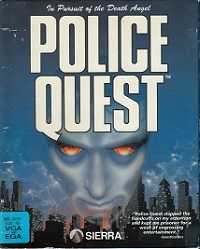 Like other remakes in Sierra's Quest and Larry series, also the original Police Quest: In Pursuit of the Death Angel, designed by Jim Walls in 1987, was remade with the SCI engine and VGA graphics. Jim had left Sierra shortly after the release of Police Quest III and was therefore not involved in the development of this remake. 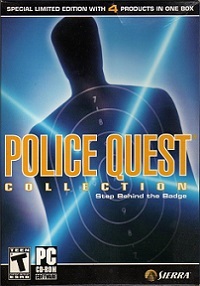 Several of the locations of Police Quest 3 are however reused in this game, such as the outside view of the Lytton Police station, the evidence room and the courthouse. The game was produced by Tammy Dargan, who produced an episode of the TV-show America's Most Wanted in 1990, and later wrote and designed Police Quest: Open Season and Police Quest: SWAT. 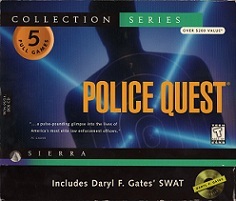 Of all Sierra classic adventure games, Police Quest stands out as one of the most realistic games, where following exact police procedure are required to be able to complete the game. 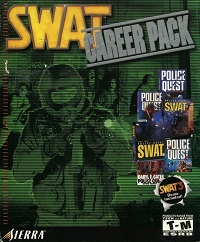 The game was in fact used as a real police training tool. This game was made for DOS with Sierra's SCI engine and VGA graphics and a point-and-click interface. 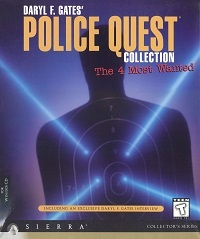 It also was re-released many times in various Police Quest collections.